Magic Carpet Cleaning in Temple Fortune delivers a wide range of cleaning services for your home carpet or rugs. Our trained and certified local carpet cleaners can offer both steam or dry treatment depending on your carpet’s fibres. Needless to say, we use only the most effective equipment and products. We can deliver our services on short notice for your convenience. 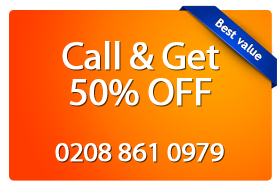 Just give us a call on 020 8861 0979 and our friendly assistants will provide you with a free price quote. Magic in Temple Fortune (NW11) is a carpet cleaning company offering steam cleaning for your home carpet or rugs at the highest standard. Our years of experience in cleaning carpets at Temple Fortune have enabled us to carry out this service professionally and efficiently at affordable rates. We have assembled a team in Temple Fortune (NW11) that is expertly trained, insured and qualified to provide you our clients with the best carpet treatment within the industry. Our reliable Temple Fortune (NW11) carpet cleaners are committed to providing the best services in carpet cleaning no matter the size of the job. All products we use for carpet treatment are eco-friendly and the best and latest techniques, machines and equipment are used by our carpet cleaners’ staff. We use state-of-the-art hot water extraction equipment to remove dirt, dust and fine particles. We offer additional protection for your carpet such as Scotchgard layer. Our prices for cleaning carpets and rugs are affordable and won’t burn a hole in your pocket. If your home carpet requires deep cleaning, don’t hesitate to give Magic Carpet Cleaning a call now. Our professional carpet cleaners can be at your address in no time. Just dial 020 8861 0979 and talk to our polite and friendly back office representatives who are available 24/7 for your convenience. Once you get through you will receive an absolutely free price quote. Our assistants will guide you throughout the booking process and make it as easy for you as possible. Alternatively, you can book our services via our online contact form. Clean carpets can become a reality with us!